As you all know Mukesh Ambani said that Jio won’t be free after 31st March 2017. That Means you have to pay for Jio services after 31st March 2017. 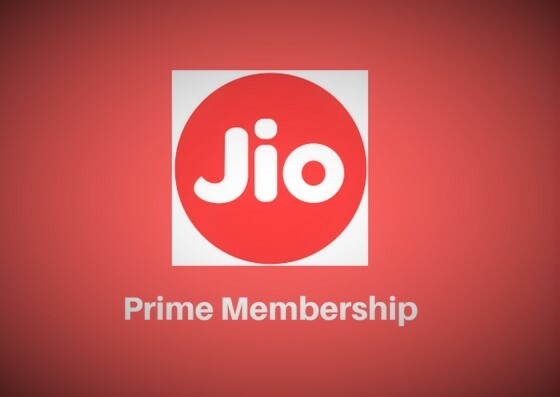 Jio launched A New Prime Subscription plan for their existing users. To get the new prime subscription of Jio, you have to pay Rs 99 for one year. After getting the Jio prime membership, you have to recharge with Rs 303 per month for the next 12 months in which will you will get 30GB 4G data monthly with free voice calling. Read the full article to know more. As per New Plan Jio prime members can continue to enjoy unlimited benefits of Jio for 12 months until 31st March 2018. You need to recharge with Rs 303 every month to avail unlimited voice call benefit once you recharge it you will get 1GB 4G data daily plus free voice calling like Happy New Year Offer. Means you are getting 30GB data at just Rs 303, effectively just Rs 10 per day. If you are an existing customer of Jio, then you can enroll for Jio Prime membership by paying one-time fee Rs 99 for one year. You will be able to become a Jio prime member from 1st March to 31st March 2017. On your device with a Reliance Jio SIM, launch the MyJio app. If you’re running an older version of the app, you’ll be prompted to update – do so first. In the next screen, you’ll be shown a list of Jio apps installed. MyJio will be on the top of this list. Tap the Open button next to MyJio. Next, you’ll have to sign in – remember, your Jio number is your username, and if you haven’t set a password already, you’ll be prompted to do so. On the home screen of the app, tap Recharge on the bottom left. If you’re on any other screen, just tap on the three-horizontal lines menu button on the top left, and tap on Jio Prime. Select Jio Prime by tapping on the Rs. 99 button. Choose your payment options and pay. Once the payment is complete, your Jio Prime subscription is active. We faced difficulty with the last step as error messages from the server kept coming at first. This could be because a lot of people are trying to sign up for Jio Prime right now – but remember, you’ve got a full month to sign up so there’s no need to worry. If the problems persist, just try again a little bit later, tomorrow, or next week.